Size: 1183 sq.ft. - 1917 sq.ft. Nahar Yvonne is a completed residential project in Powai, Mumbai. Yvonne is developed by Nahar Group in 2016. These residential properties are available only as resale. It was launched in 2012 with the housing options of plush 2 BHK & 3 BHK apartments where some of the flats have already been sold out. Yvonne Towers are built within Nahar Amrit Shakti community. Nahar Amrit Shakti project consists ready to move homes of 2 BHK, 3 BHK & 4 BHK. This community is sprawled onto 125 acres of land with 32 residential towers. Yvonne is a masterpiece with rich facilities to cater in all aspects. Also it will offer you an unmatched living experience every day. The selling price of these residences starts at 2.71 Crore onwards. Yvonne is a 14 storey towers offering you iconic luxury flats of two different choices. These ready units are ranging between 1445 Sq.ft to 1461 Sq.ft for 2 BHK houses. 2 Bedroom flats are designed with 2 Bathroom and 3 Balcony. 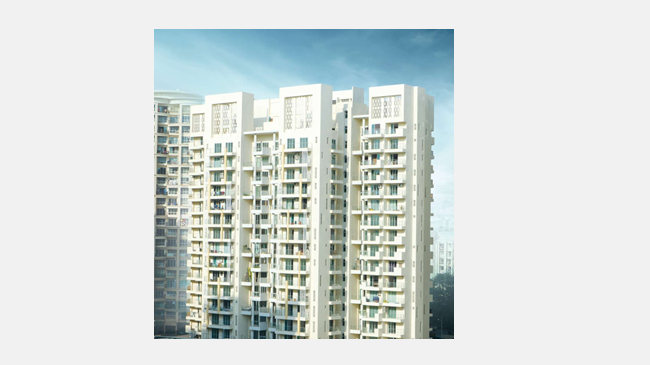 3 BHK units ranging between 1374 Sq.ft to 1918 Sq.ft consists of 3 Balcony & 3 Bathroom. Each apartment has an exclusive Deck Area. The internal specifications of Yvonne have branded bathroom fittings, Modular Kitchen with Cabinets, Premium Marble flooring, Air conditioned lobbies. Yvonne is a kind living place where nature, richness & modernity get merged to offer you the best lifestyle in the dream city. Since 1973 Nahar Group has been led by Mr. Sukhraj Nahar and since last 10 years the company is under the leadership of Mr. Ajay Nahar who is the scion of Nahar Group. Ajay Nahar is the young entrepreneur has done his graduation from the Academy of Architecture in Mumbai and he also holds a master degree in Construction Project Management from UCE, Birmingham, United Kingdom. The list of properties in Mumbai, Thane and Pune by Nahar Group includes Olivia, Nahar Panorama, Water Lily White Lily, Barberry Bryony, Villament, 92 Bellevue, 8 Towers, Rosa Alba, Yvonne, Excalibur, Cayenne, Sarvodaya and F Residences. They are into commercial, industrial and residential segments. The company has also collaborated with FTV, Chennai, Ahmedabad and Chennai for developing F Residences. They have been recognised for their Quality & reliability developments that have made them earned prestigious awards. Their projects are located at Bhandup, Lower Parel, Versova, Worli, Goregaon, Mulund, Powai and several other areas of Mumbai. Nahar Yvonne is at the most developed sector of Mumbai city which is also known for modern living hub. This project lies between Powai & Andheri East location in Chandivali. Chandivali is home to branded developers projects like Shapoorji Pallonji, Hiranandani Zen, Kalpataru Woodsville etc. The locational features of Nahar Yvonne have the seamless connectivity to Powai Lake, Jogeshwari-Vikroli Link Road, Western Express Highway, Eastern Express Highway, Bandra-Kurla Complex and Turbhe and IRB Road link you to Central & Harbour Mumbai. This posh locality is most desired destination to a home buyer or investor. Chandivali, Powai is enveloped with decent places and reputed infrastructures that you can reach within walking distance or through transportation modes. Nahar Yvonne is developed is located within an integrated township at Lok Milan Colony in Chandivali near Powai & Andheri East, Mumbai, Maharashtra - 400072. # Sports Facilities with best in class features. Schools: - St. Anthony's High School, Pawar Public School, Bombay Scottish School & Kendriya Vidyalaya IIT Powai. Eateries: - Emperor's Court, Love & Cheesecake, Sail Kiran & Rude Lounge. Banks/ ATMs: - State Bank, HDFC Bank, ICICI Bank. Multiplexes: - Shreyas Cinemas, PVR Cinemas Kurla, Kalpana Theatre, Maxus Cinema. Hospitals: - Seven Hills Hospital, Zobiya Hospital, Millat Hospital, Sapna Hospital. Shopping Malls: - Platinum Mall, R City Mall, Galleria Mall. Railway/Metro Stations: - Vikhroli Station, Kanjurmarg Station, Ghatkopar Station. Bus Stops: - Chandivali, Forest Bus Stop, State Bank Bus Stop, Bayar House Bus Stop. Parks: - Heritage Garden, Powai Vihar Park, Big Park, Lake Homes Park & Regency Park. 1183 sq.ft. - 1917 sq.ft. 486 sq.ft. - 1158 sq.ft.